Adoption and termination of parental rights are major areas of the comprehensive legal services offered by Jim Williams & Associates to our clients in Tennessee and Virginia. Adoption is the process by which a legal parent-child relationship is created between individuals not biologically parent and child. Once adopted, children may inherit on an equal basis with biological children under state laws of distribution upon the death of a parent. Additionally, adoption terminates any legal rights then in existence with the natural parents and the child. Adoption law varies from state to state and can be complicated. Typically a home study is required of prospective parents, unless there is a biological or close family relationship between the prospective parents and the child. That is why it is extremely important to have an experienced adoption attorney advise you at each step of the process to avoid unnecessary delays in finalizing the adoption. Prior to an adoption being approved by the court, a termination or surrender of parental rights of the living biological parent(s) is required. Termination of parental rights ends the legal parent-child relationship. Once the relationship has been terminated, the child is legally free to be placed for adoption to secure a more stable, permanent family environment that can meet the child’s long-term parenting needs. Termination of parental rights may be voluntary or involuntary. Birth parents who wish to place their children for adoption may voluntarily relinquish or surrender their parental rights. Involuntary termination of parental rights must be based upon 1) a finding by the court by clear and convincing evidence that grounds for termination of parental rights have been established and 2) a finding that the termination of the parent’s rights is in the child’s best interest. There are several grounds for involuntary termination of parental rights. Two of the most common grounds are a parent’s willful failure to support a child, or willful failure to visit a child for the four (4) months preceding the filing of a petition to terminate parental rights. A willful failure to support is defined as a willful failure for a period of four (4) consecutive months to provide monetary support for a child or more than token payments toward the support of a child. Token support means that the support is insignificant given the parent’s financial means to support the child. A willful failure to visit is defined as a willful failure for a period of four (4) consecutive months to visit or engage in more than token visitation with a child. Token visitation means that the visitation is of such an infrequent nature or short duration so as constitute minimal or insubstantial contact with the child. It is important to note that a parent cannot cure his or her willful failure to support or willful failure to visit after the filing of a petition to terminate parental rights. 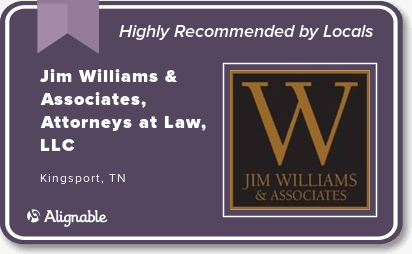 The adoption attorneys at Jim Williams & Associates have helped numerous families in Tennessee and Virginia navigate the adoption and termination of parental rights process from filing of the petition for adoption or to terminate parental rights to entry of the final decree of adoption. If you have a serious legal issue, please review our website and then CONTACT one of our attorneys today for a FREE consultation and review of your rights and options under the law.